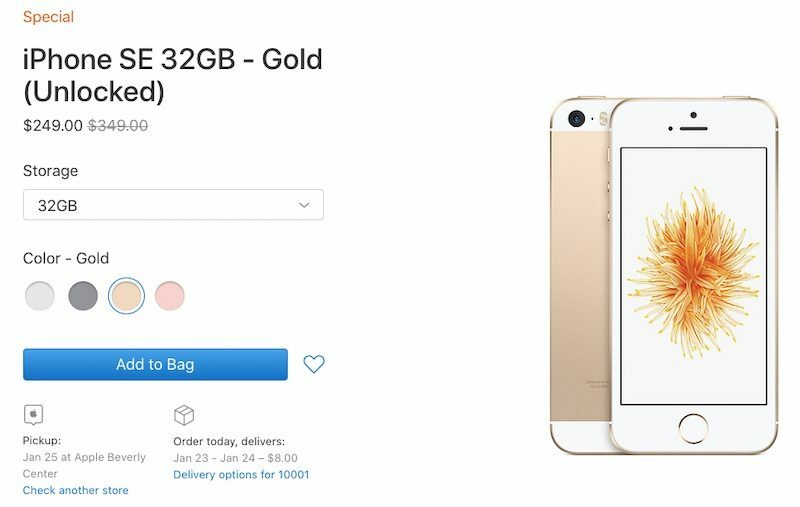 Four months after Apple stopped selling the iPhone SE, the beloved device has made a sudden return to Apple's online store. Apple is offering the iPhone SE with 32GB of storage for $249 and with 128GB of storage for $299 on its clearance store in the United States. These are brand new, unopened, and unlocked models with unchanged tech specs, including a 4-inch Retina display, A9 chip, Touch ID, and 12-megapixel rear camera.